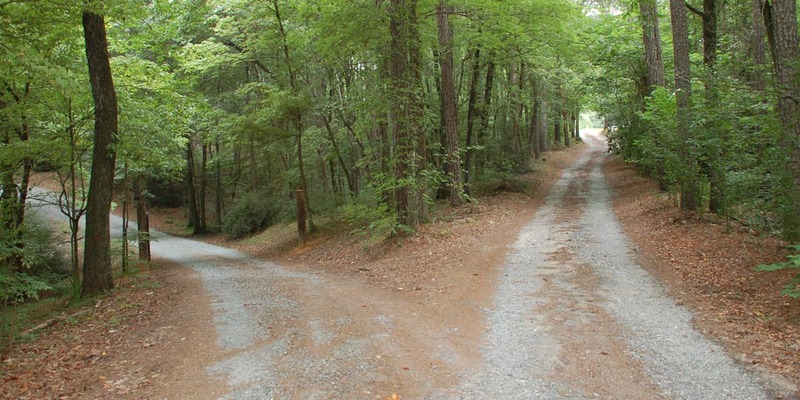 The crossroad that leads to life – I Am Not Ashamed Of The Gospel Of Christ! When we confess our sin unto God,and believe He has raised the Lord Jesus from the grave we shall be saved! (Romans 10:9-13). 9 That if thou shalt confess with thy mouth the Lord Jesus, and shalt believe in thine heart that God hath raised him from the dead, thou shalt be saved.10 For with the heart man believeth unto righteousness; and with the mouth confession is made unto salvation.11 For the scripture saith, Whosoever believeth on him shall not be ashamed.12 For there is no difference between the Jew and the Greek: for the same Lord over all is rich unto all that call upon him.13 For whosoever shall call upon the name of the Lord shall be saved. We could live our life as only the way we see fit and sadly some have even chose to leave God out of it,but it is when we learn there are two paths we can take in this life where one leads to life and the other to death!All paths that are of the Lord are of mercy and truth to those who keep His covenant and testimonies(Psalm 25:4-12). 4 Shew me thy ways, O Lord; teach me thy paths.5 Lead me in thy truth, and teach me: for thou art the God of my salvation; on thee do I wait all the day.6 Remember, O Lord, thy tender mercies and thy lovingkindnesses; for they have been ever of old.7 Remember not the sins of my youth, nor my transgressions: according to thy mercy remember thou me for thy goodness’ sake, O Lord.8 Good and upright is the Lord: therefore will he teach sinners in the way.9 The meek will he guide in judgment: and the meek will he teach his way.10 All the paths of the Lord are mercy and truth unto such as keep his covenant and his testimonies.11 For thy name’s sake, O Lord, pardon mine iniquity; for it is great.12 What man is he that feareth the Lord? him shall he teach in the way that he shall choose. For those who think there is no reason to consider living a good and right life before the Lord,we see in the book of revelation how God feels about sitting on the fence of indecision (Revelation 3:15-20).